The Secretariat was once the cards-playing room used along with the Members’ Bar. 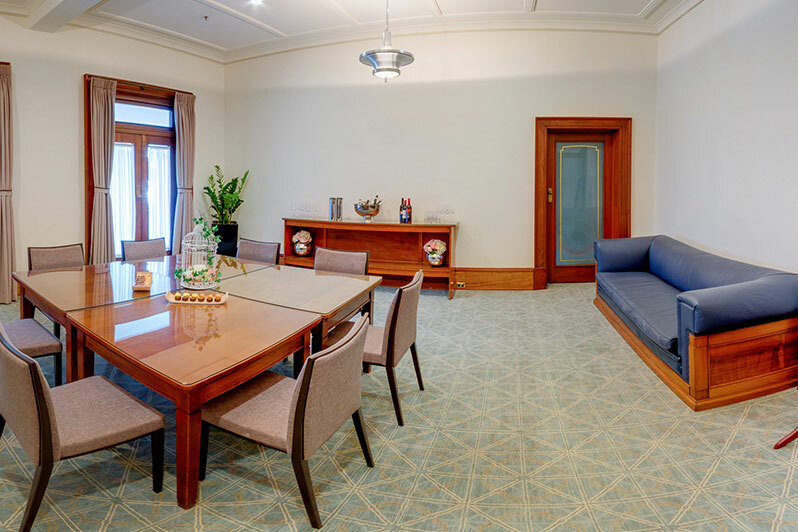 Decorated with beautiful heritage listed furniture, this space is often utilised as a private break-out room, a green room, media room or bridal room. On some occasions, the Secretariat has been used for initmate dinners. Acess from the Queen Victoria Terrace is via the Member’s Bar or the Members’ Dining Rooms’ corridor. Access to the Members’ Dining Rooms (and subsequently the Members’ Bar) is via the driveway and pedestrian bridges; the latter have easy access ramps, and easy access toilets are also at level.